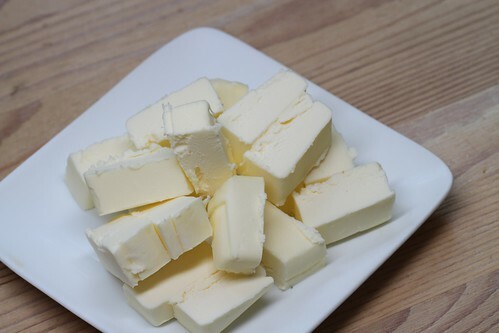 Cut the butter into cubes, and put it in the freezer while you get the rest of the ingredients together and zest the orange. Preheat the over to 400. 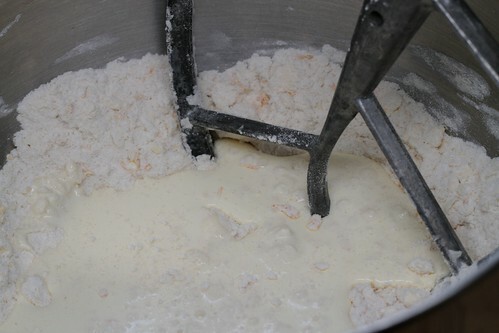 Pour in the heavy cream and mix until the dough starts to come together in large clumps. 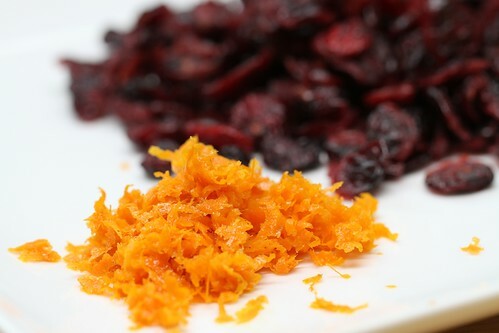 Mix in the cranberries. 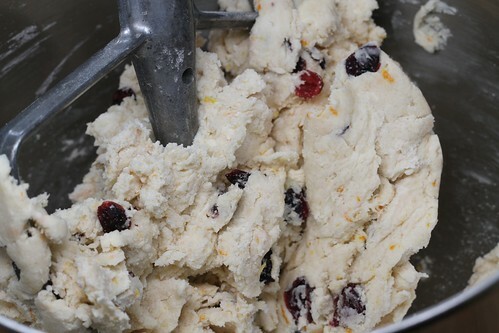 Turn the mixer off and use your hands to knead a little and bring the dough together. 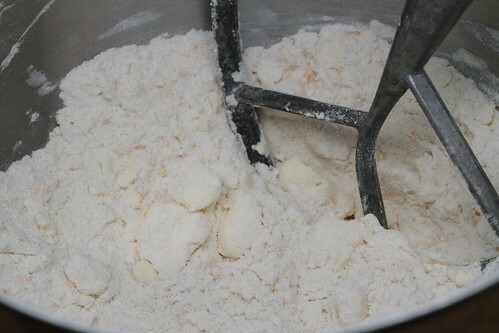 Turn the dough out onto a floured surface and dust a little flour on top. 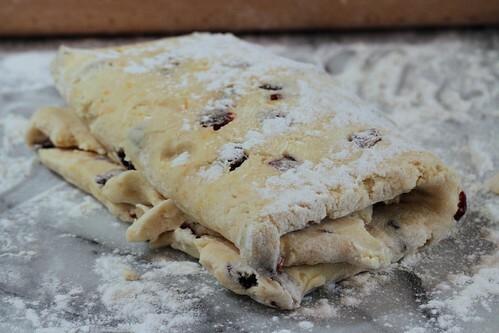 Roll it out into a rectangle 1 inch thick. Fold it in thirds, turn it on your board and roll it out again to a rectangle 1 inch thick. Do this two additional times. 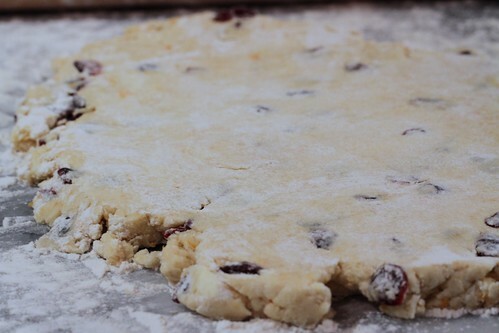 If the dough starts to get soft, put it in the fridge for 15 minutes. Roll it out to a rectangle 1 inch thick a final time. 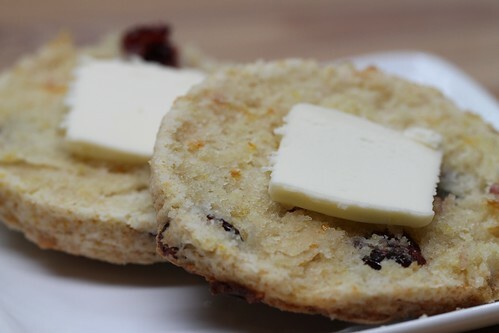 Use a 3 to 4 inch round biscuit cutter to cut out your scones. You should get 8, although you’ll probably have to roll the scraps together to get the final 2. 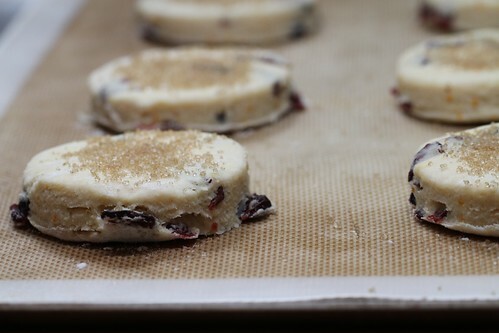 Put the scones on a silpat- or parchment-lined baked sheet and dust the tops with turbinado sugar. 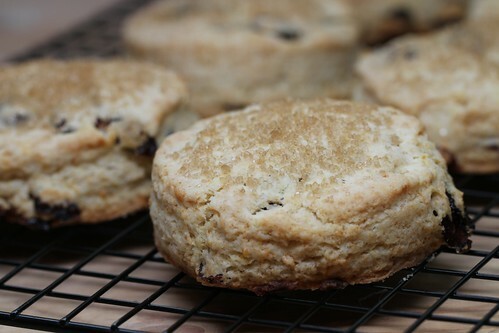 Bake for 18-22 minutes, until the scones are golden.